Dana Villas is a superb hotel, perched on rim of the cliff side having amazing views of the Caldera and Volcano. Located only 10 minutes away from the capital Fira making this property ideal romantic location for couples and honeymooners. 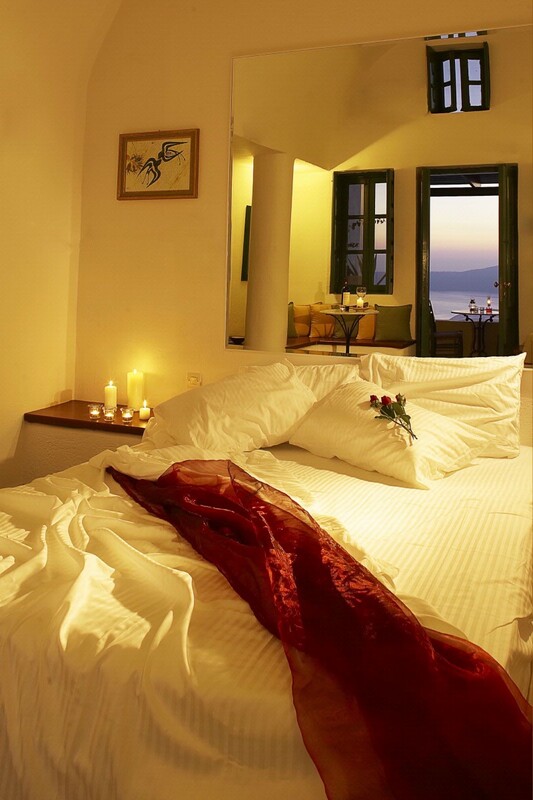 Built in traditional Cycladic style featuring also some cave style suites with all your modern day comforts and amenities. 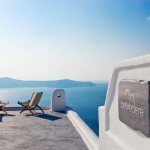 Enjoy a first class meal at the outside restaurant by the pool whilst watching the famous sunset of Santorini in all its glory, or sit back and relax with a cocktail or two on Dana’s romantic terrace. 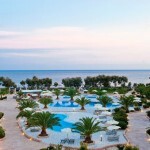 The hotel is open all year round and is ideal for couples and Honeymooners !! Hotel facilities: 24 hour reception and room service, concierge, porter service, daily cleaning, swimming pool, restaurant/bar/snack bar/café, American buffet breakfast and outdoor heated Jacuzzi, fax service, free wireless internet access. Room facilities: All rooms have air conditioning, satellite TV, safety deposit box, mini bar, hairdryer, music, direct dial phone, free wireless fast internet connection, bathrobes, slippers, bathroom with bathtub or shower and balcony or terrace overlooking the sea and volcano.